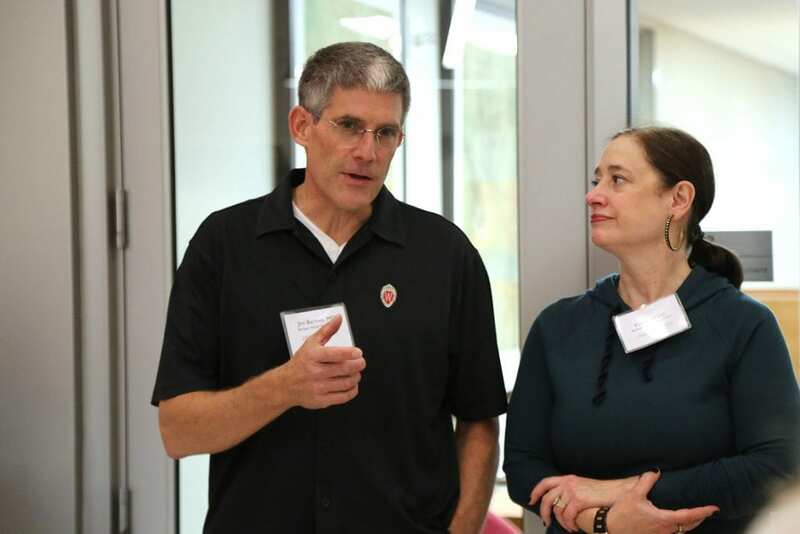 Part of a multi-year, $300,000 commitment by Dr. James Berbee and Karen Walsh, the prototype pathway is meant to help spur medical device innovations by supporting collaborations between clinicians, students and the Fab Lab. 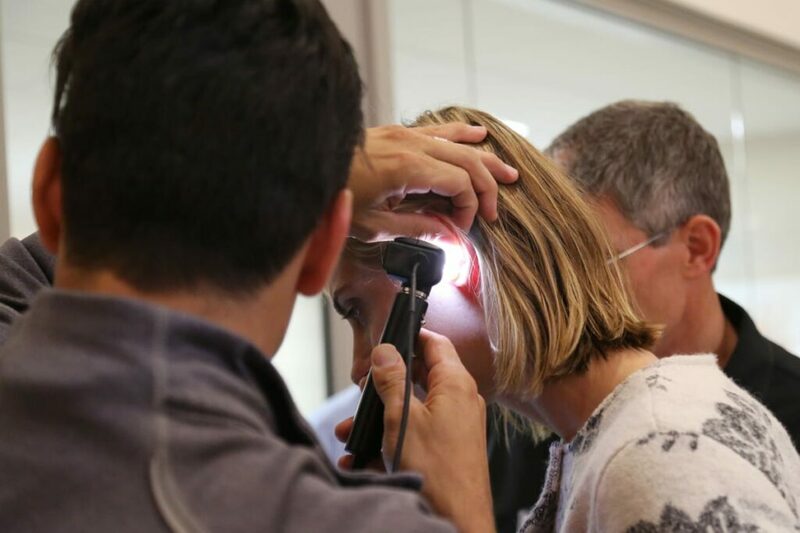 Berbee’s own invention of a new type of otoscope, the cone-shaped tool used to view the inner ear, was partly the inspiration for the prototype pathway, and he brought along the device for guests to test out. Berbee received help from the Fab Lab with an early prototype and has since developed a device that provides much sharper resolution than the centuries-old technology that’s currently used. By connecting Fab Lab personnel directly to doctors – the people who know firsthand where advances are needed – the effort hopes to spark advances in technologies used in clinical practice. The event was an opportunity to get those conversations started and showcase some successful efforts. 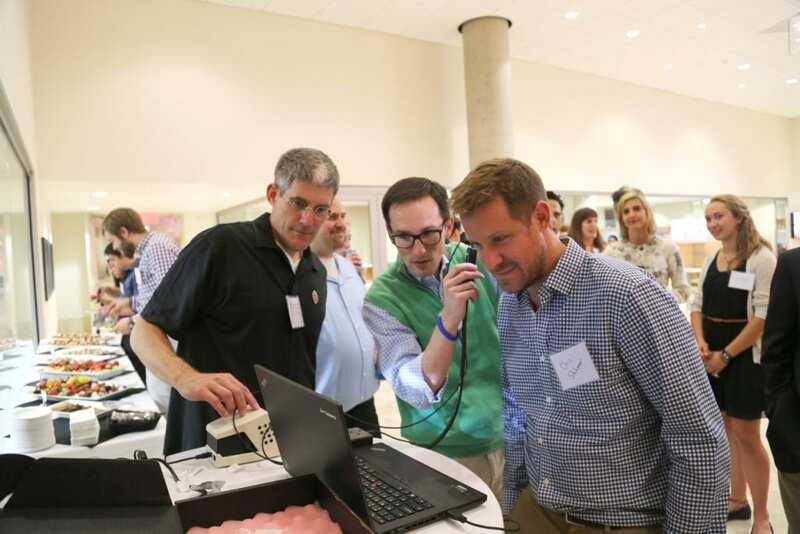 Dr. James Berbee with Dr. Mike Steuerwald and Dr. Chris Stahmer of UW Emergency Medicine test out the newly developed otoscope device. 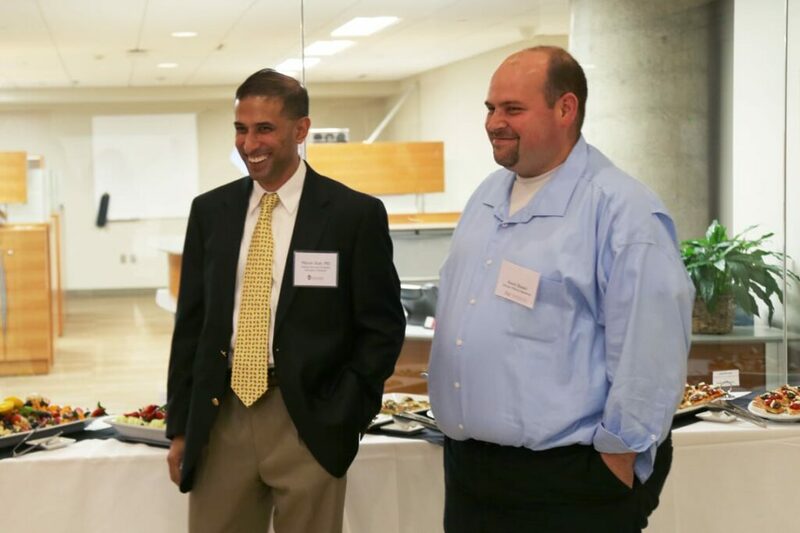 Dr. Manish Shah, UW Emergency Medicine, and Kevin Eliceiri, interim director of Morgridge Medical Engineering, both spoke about the importance of collaborations across disciplines like medicine and engineering. 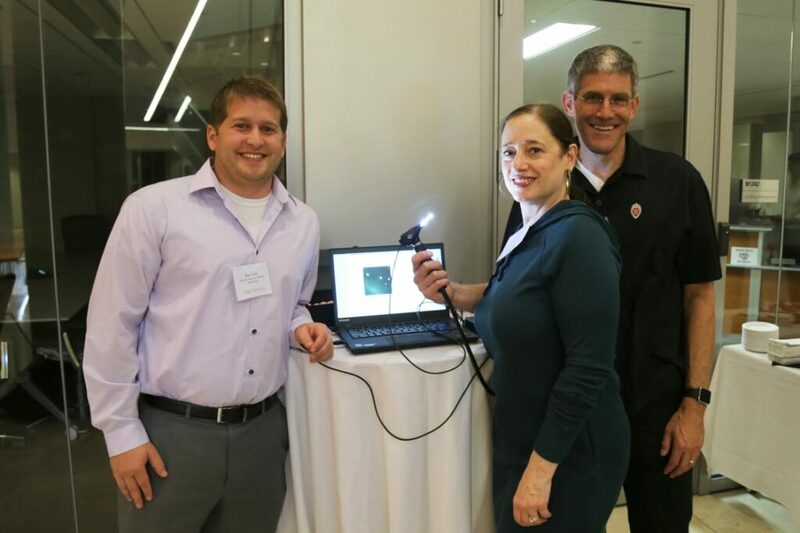 Ben Cox (left) of the Morgridge Medical Engineering team, with Karen Walsh and James Berbee, helped develop the initial prototype of the new otoscope. Eliceiri hopes to involve students working at the Fab Lab in many of the prototype pathway projects. 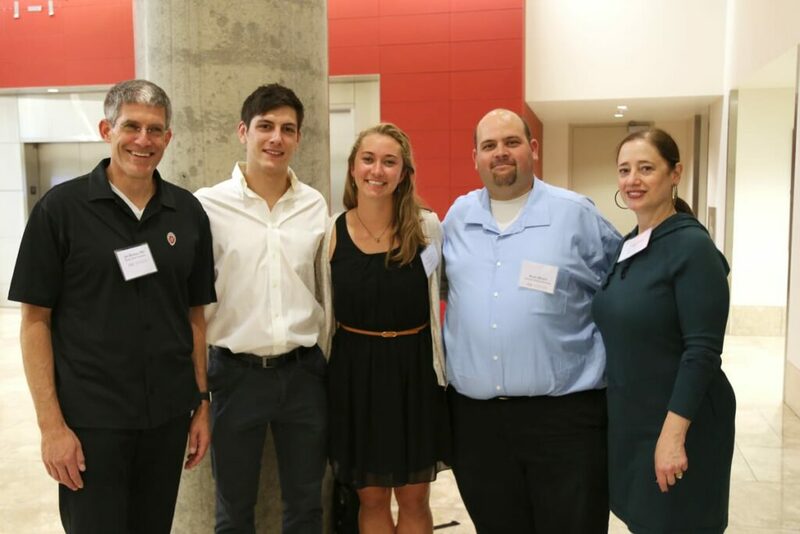 Pictured: James Berbee, Eric Ronning (recent engineering graduate), Kayla Huemer (junior in biomedical engineering), Kevin Eliceiri, Karen Walsh. The new otoscope device design includes a camera for real-time imaging and a flexible fiber optic light for maximum visibility and high resolution images. James Berbee and Karen Walsh talk about their motivations and hopes for the prototype pathway effort.